What do you think of when you hear the word homeschooling? I admit, my first concept was a cute little school desk & chalk board set up in a corner of the living room and my darling little girls cuddled up with me reading aloud on the couch, and nature walks. I imagined one room schoolhouses like on Anne of Green Gables with the girls wearing cute little dresses every day with their hair in ribbons. I just knew we’d spend hours upon hours building and creating all kinds of nifty things. ﻿Reading the A Charlotte Mason Companion: Personal Reflections on The Gentle Art of Learning really liberated me. 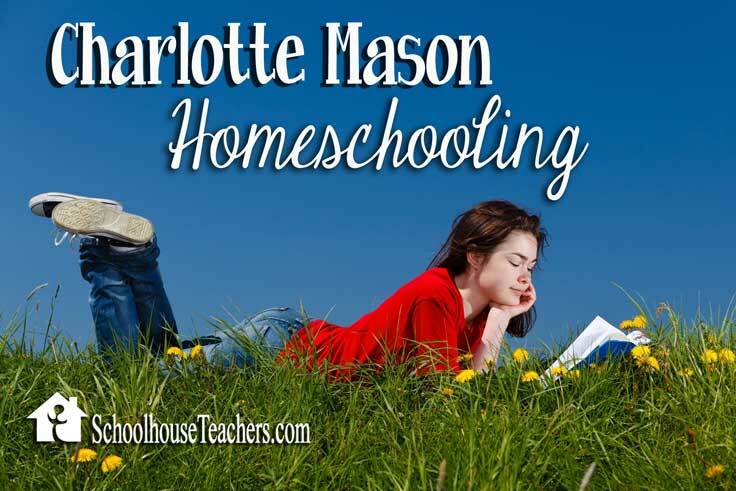 Charlotte Mason, author of Charlotte Mason’s Original Homeschooling Series, is often considered the mother of Homeschooling. At the turn of the 20th Century, a time when education was primarily available only for the rich, she trained mothers and governesses in educating children through Living Books and Life Experiences. ﻿Living Books﻿: Charlotte Mason encouraged parents to read, read, read to their children; primarily the most exciting educational books available. Most families using this method prefer fun biographies and historical fictions, like the ones written by G.A. Henty. Narration: After each story or chapter of a story, the children are required to “narrate” the story back, giving a verbal book report on what they learned. She also stressed teaching the children language arts through dictation, which is a fun and easy way to get all the language arts into one small segment of time. Learning Language Arts Through Literature is a great resource using this method. My children simply love this program. Nature Study: Our favorite subject in this approach is Nature Study. We draw pictures and write or copy poems about items and aspects of God’s Creation. The children hardly know we are “doing” school! Our favorite resource is the Handbook of Nature Study. We also use DK pictorial encyclopedias and the Wonders of Creation books. Charlotte Mason advocated short lessons. consistent “Habit Training”, and helping children learn to enjoy learning. This philosophy of education and discipleship is simple and fun. You can easily merge the “Living Education” with the Classical Trivium and/or Unit Studies. However you decide to homeschool, please remember to take some time to enjoy your children & this time in their lives.